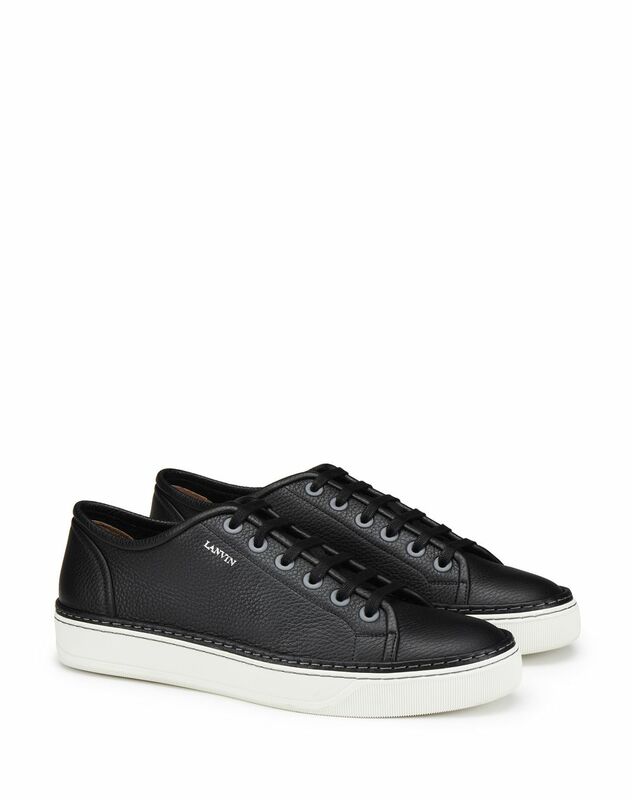 Matte black low-top sneaker in grained bull calfskin leather, tone-on-tone cotton topstitching and laces, black 100% calfskin leather lining with logo, and exclusive white rubber sole. 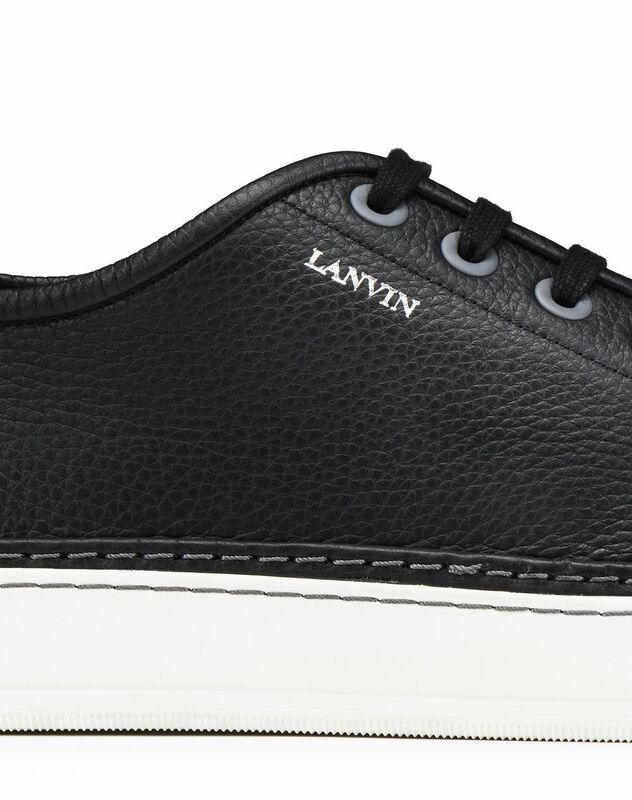 This low-top grained bull calfskin leather sneaker is offered in new colors for the Spring/Summer 2019 Pre-Collection. 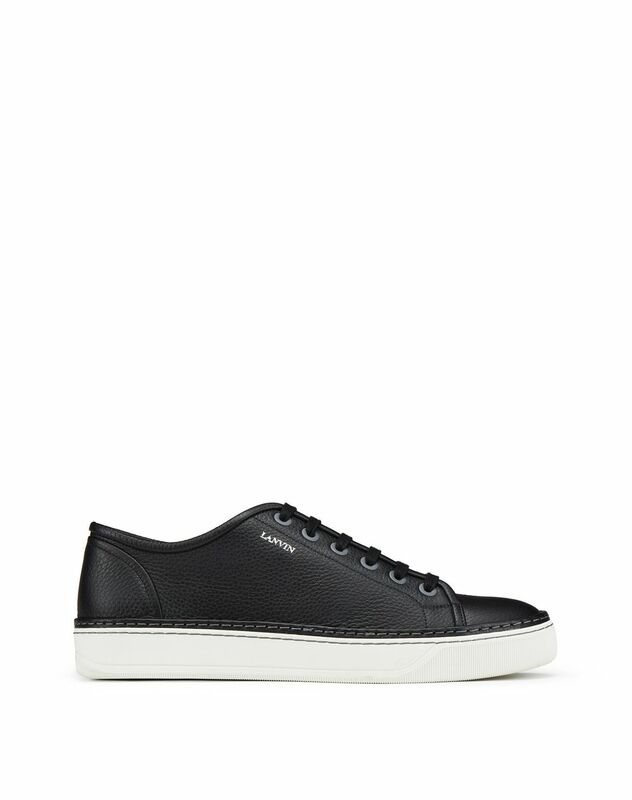 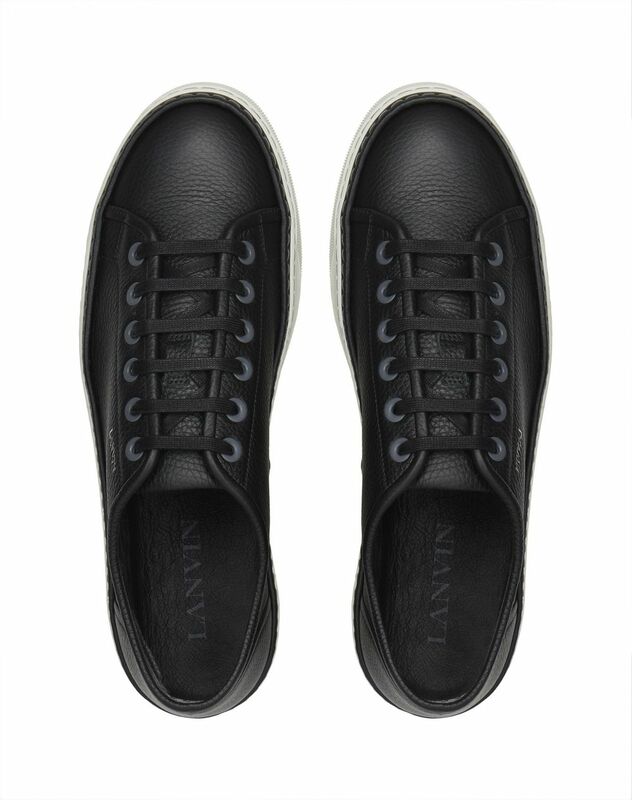 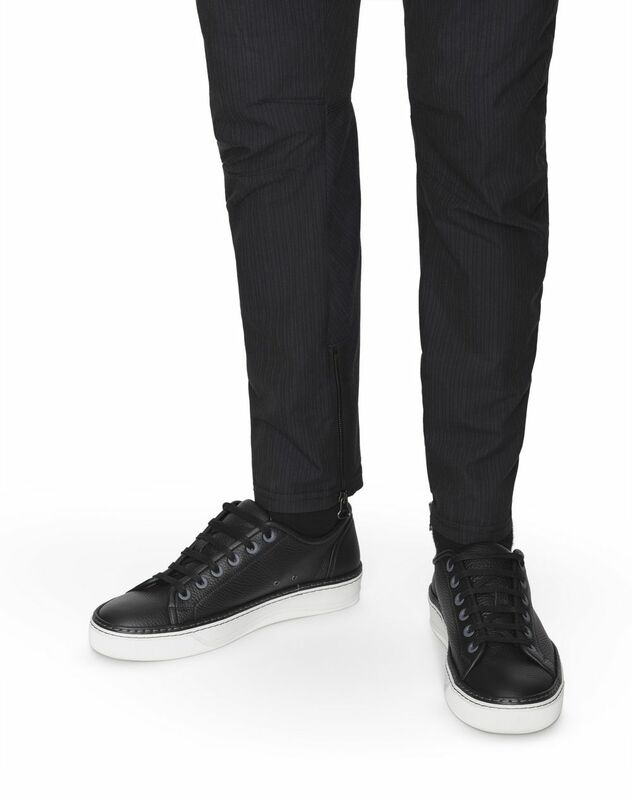 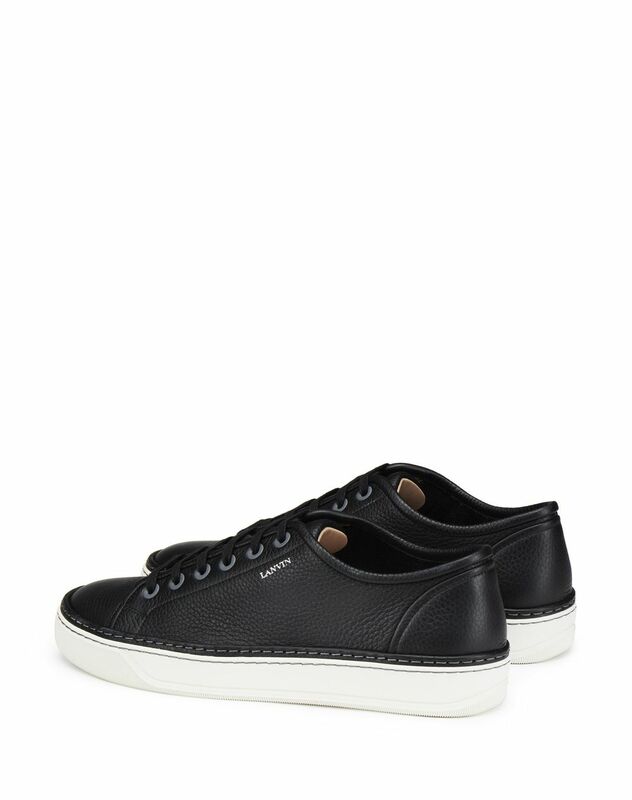 Featuring a discreet Lanvin logo, this cool and contemporary design subtly leaves the brand's mark on the sneaker.